But no matter what color his shoes are, Pete keeps movin' and groovin' and singing his song...because it's all good. 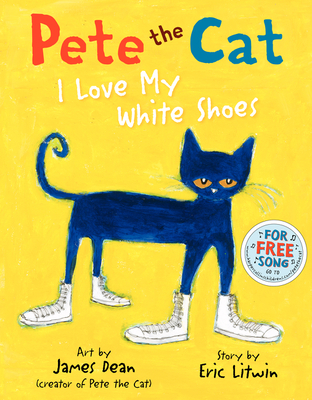 Pete the Cat: I Love My White Shoes asks the reader questions about the colors of different foods and objects—kids love to interact with the story. The fun never stops—download the free groovin’ song. Eric Litwinis a guitar-strumming, song-singing, banjo-picking, tale-telling, song-writing, national-award-winning, music-producing, fun, folksy type of guy. He loves to blend song and story together and is inspired by the depth and simplicity of folk songs and folktales. Eric is a popular performer, delighting thousands of children and families every year. He has recorded two award-winning children's music CDs.